Henry Olusegun Adeola Samuel (born 19 February 1963), known professionally as Seal, is a British singer and songwriter. He has sold over 20 million records worldwide, with his first international hit song, "Crazy", released in 1991, and his most celebrated song, "Kiss from a Rose", released in 1994. Seal has won multiple awards throughout his career, including three Brit Awards; he won Best British Male in 1992, as well as four Grammy Awards and an MTV Video Music Award. As a songwriter, he received two Ivor Novello Awards for Best Song Musically and Lyrically from the British Academy of Songwriters, Composers, and Authors for "Killer" (1990) and "Crazy" (1991). Henry Olusegun Adeola Samuel was born on 19 February 1963 at St Mary's Hospital in Paddington, London, to Nigerian mother, Adebisi Ogundeji, and African-Brazilian father, Francis Samuel. He was raised by a foster family in Westminster, London. He received a two-year diploma in architecture and worked various jobs in the London area. In the 1980s, Seal spent a short time singing in local clubs and bars. In 1987 he joined Push, a British funk band, and toured with them in Japan. In Thailand he joined a blues band for a while before separating from the group and journeying throughout India on his own. He returned to England, sleeping on the couch of friend Julian Bunster, then a model. He sometimes asked him "do I sing well?" to which he often received the response that he sang better than most current artists. He then met the producer Adamski and was given the lyrics of the song "Killer", which was a huge hit in 1990 and catapulted his career. Seal first came to public attention as vocalist on the Adamski single "Killer" in 1990. The single eventually reached number one in the UK. Seal subsequently signed to ZTT Records and released his self-titled début album (produced by Trevor Horn) in 1991. Two versions of the album are known to be in circulation: the original "premix" version and a second, more common version with an updated mix. This is attributed to the demand for a produced single rushing the final album edit and, as Seal puts it, his and producer Horn's "inability to let go". In 1992 Seal appeared on the Red Hot Organization's compilation CD Red Hot + Dance, contributing an exclusive track "Crazy (If I Was Trev Mix)". The album, featuring George Michael and Madonna among others, raised money and awareness in support of the AIDS epidemic by donating all proceeds to AIDS charities. After Seal regrouped with Trevor Horn, his second album, also self-titled, was released in 1994. A success, the album featured the singles "Prayer for the Dying" and "Newborn Friend", and later received a Grammy nomination for Album of the Year. "Prayer for the Dying" became a minor pop hit in the US, peaking at number 21 on the Billboard Hot 100. A third single, "Kiss from a Rose", performed modestly when released but was later featured to much wider popularity when it was remixed for the soundtrack to Batman Forever. "Kiss from a Rose" won a Grammy Award for Record of the Year and Grammy Award for Song of the Year in 1996, becoming Seal's best performing single on the US market (it topped the Billboard Hot 100 in late August 1995) and hit number four in the UK. In 2001 fans awaited the arrival of a new album, announced as Togetherland. After a protracted post-production period the album was cancelled. The official word was that Seal simply did not think it made the grade, although this conflicts with other reports, that said the album was turned down by the label because producers felt the album would not be commercially successful. Even so, one single was released from the album. "This Could Be Heaven" was released in the US and featured on The Family Man soundtrack. Since December 2006, Seal has indicated that he has plans to excerpt cuts from Togetherland and make them available for streaming download. Meanwhile, Seal co-wrote and provided vocals for the hit single "My Vision" from Jakatta in 2002. He also recorded a successful duet with the French singer Mylène Farmer called "Les Mots" during that same period. Also in 2002, Seal lent his vocals to the song "You Are My Kind", the fourth track on Santana's album Shaman. Also in 2004, Seal performed shows at the Olympia Theatre in Paris, France. The show of 6 July 2004 was recorded and released about one year after as a CD/DVD package, simply titled Live in Paris. System was released in the UK on 12 November 2007 and in the US on 13 November 2007. Seal describes the album as more dance-oriented, apparently a return to the roots of his first album. On the track titled "Wedding Day", Seal sings a duet with his then wife, model Heidi Klum. The album's first single, "Amazing", was released on 25 September 2007, and was nominated for the "Best Male Pop Vocal Performance" Grammy at the 2007 50th Annual Grammy Awards. Seal's sixth studio album Soul was released on 3 November 2008 internationally and on 11 November 2008 in the US. It contains eleven soul classics produced by David Foster. The first single was a cover of Sam Cooke's song "A Change Is Gonna Come." On 14 March 2009, Seal performed a song from the album and coached the participants on the "Top 9-Show" of the sixth season of the German TV show Deutschland sucht den Superstar (German Idol). Seal's seventh studio album, Seal 6: Commitment was released on 20 September 2010 internationally and 28 September 2010 in the US. The first single "Secret" was released 10 August 2010 on iTunes in the US and in the UK on 13 September 2010. This album was said to be inspired by his wife, Heidi. On 7 November 2011, Seal released his second cover album of classic soul songs, Soul 2 through Reprise Records. Seal soon after began work on a new album, initially entitled Let Yourself, produced again by Horn. In February 2015, Horn said the album was nearly finished. Seal later re-signed to Perfect Songs and had a two-week writing period in Horn's Los Angeles studio booked for October 2012. Stewart Copeland (formerly of The Police) said that month on his Twitter feed that Horn and Crème were working with Seal on a project. In April 2013, Seal said on Twitter that the new album would be released in about June (which did not eventuate), and that tracks to be included were "Let Yourself", "Do You Ever" and "Laying with an Angel". The album was later retitled Beautifully Scarred. On 10 September 2015, Seal announced that the album, 7, would be released on 6 November 2015. Seal released the album Standards in November 2017. In 2012, Seal was one of the four vocal coaches in the first season of the Australian version of the reality singing competition The Voice. He was the coach of the series winner Karise Eden. Seal returned to The Voice season two, which debuted on 7 April 2013, where he became the winning coach once again, coaching eventual winner Harrison Craig. He did not return for the third season in 2014 with the Nine Network stating that Seal "will take a break from the third season of The Voice to focus on music and material for a new album." Channel NINE announced on 8 November 2016 that Seal would be returning alongside Delta Goodrem to The Voice Australia as a coach in 2017. On 15 November 2014, Seal joined the charity group Band Aid 30 along with other British and Irish pop acts, recording the latest version of the track "Do They Know It's Christmas?" at Sarm West Studios in Notting Hill, London, to raise money for the 2014 Ebola crisis in West Africa. Seal was cast as Pontius Pilate in Tyler Perry's musical rendition of The Passion, which aired on Fox on 20 March 2016. "Ramzan Kadyrov is linked to a litany of horrific human rights abuses. It's inappropriate for stars to get paid to party with him. It bolsters his image and legitimizes a brutal leader and his regime. And getting paid to be part of such a lavish show in Chechnya trivialises the suffering of countless victims of human rights abuses there." 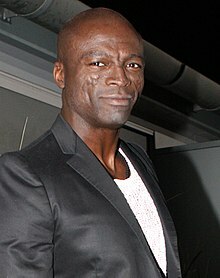 The prominent scarring on Seal's face is the result of a type of lupus called discoid lupus erythematosus, which affects the skin and leaves large scars. Seal's brother, Jeymes Samuel, better known as The Bullitts, is also an accomplished singer-songwriter. Seal first began dating German model Heidi Klum in February 2004, shortly after she announced her pregnancy and end of relationship with Italian Formula One team manager Flavio Briatore. Seal proposed to Klum on 23 December 2004 in a quinzee he had built on a glacier in Whistler, British Columbia. On 10 May 2005, the couple married on a beach in Mexico near Seal's home on Costa Careyes. Every year during their marriage, Seal and Klum renewed their vows on their anniversary with close friends and family. About these renewals, Seal said in 2010, "Each year, Heidi and I get remarried. It's a great party, but for about an hour, we go off on our own down to a private beach. We sit there with the kids and read vows to each other as the sun sets. It's a very special moment to us." In November 2009, Klum officially adopted Seal's surname and became legally known as Heidi Samuel. Klum gave birth to Briatore's daughter, Helene "Leni" Boshoven Klum on 5 May 2004 in New York City with Seal at her side. According to Klum, Briatore is not involved in Leni's life, and Klum has stated emphatically that "Seal is Leni's father". Seal is her only father figure and he has praised Briatore for keeping his distance and not disrupting Leni's life. In late 2009 Seal officially adopted Leni, and her last name was changed to Samuel. The couple have three other children: sons Henry Günther Adeola Dashtu Samuel (born 12 September 2005), Johan Riley Fyodor Taiwo Samuel (born 22 November 2006) and daughter Lou Sulola Samuel (born 9 October 2009). On 22 January 2012, Seal and Klum announced that they were separating after nearly seven years of marriage. Klum filed for divorce from Seal on 6 April 2012, but they remain close friends. Their divorce was finalised on 14 October 2014. Seal and his then-wife Heidi Klum announced in June 2010 that they would be making a reality series on Lifetime titled Love's Divine (after Seal's song of the same name). Seal was also a judge for the 10th annual Independent Music Awards to support independent artists careers. In 2017, Seal was a guest judge for America's Got Talent season 12. ^ Finn, Robin (5 June 1996). "AT LUNCH WITH: Seal; From a Crucible Of Early Pain Comes the Gold Of Stardom". New York Times. Retrieved 19 September 2018. ^ Erlewine, Stephen Thomas. "Seal | Biography & History". AllMusic. RhythmOne, LLC. Retrieved 19 September 2018. ^ a b "pounds 10m SEAL'S MUM LIVING IN SQUALOR. - Free Online Library". www.thefreelibrary.com. ^ "Ongoing Management Commission gets Seal of Approval : Wadlow v Samuel". Music Law Updates. Retrieved 15 January 2016. ^ Batey, Angus (16 September 2010). "Seal: The reluctant pop star". The Guardian. London. Retrieved 25 November 2012. ^ "Acclaimed Singer And Songwriter Seal Returns With Second Set Of Soul Classics, Soul 2, Due for Release in the US on January 31st, 2012, From Warner Bros. Records; The First Single, "Let's Stay Together," Impacts Radio Today". Reprise Records. Yahoo!. 24 October 2011. Retrieved 30 October 2011. ^ "Winners". Grammy.com. Retrieved 15 January 2016. ^ a b "will.i.am and Kylie Minogue join The Voice in 2014". Nine Network. ninemsn Pty Ltd. 2014. Retrieved 29 April 2014. ^ "Seal". Biography.com. Retrieved 19 February 2019. ^ Batey, Angus. "Seal: The reluctant pop star". The Guardian. London. Retrieved 16 September 2010. ^ Morse, Steve (9 July 2003). "Seal chooses idealism, optimism on new CD". The Boston Globe. Retrieved 12 March 2011. ^ "Bio". Askmen.com. 19 February 1963. Retrieved 26 April 2011. ^ a b "Seal | New Music And Songs |". Vh1.com. Retrieved 15 January 2016. ^ "10 Years on and Still the Web's Best Source of Seal Info". Future Love Paradise. Retrieved 26 April 2011. ^ a b "Seal: Single Chart History". Billboard. Retrieved 26 April 2011. ^ a b "History". Brits.co.uk. 16 October 2015. Retrieved 15 January 2016. ^ "Home". RIAA. 3 November 2015. Retrieved 15 January 2016. ^ "Clay's Seal Page". Angelfire.com. Retrieved 15 January 2016. ^ "GRAMMY.com". GRAMMY.com. Retrieved 26 April 2011. ^ "Soul". Web.archive.org. Archived from the original on 11 October 2008. Retrieved 15 January 2016. ^ "auspOp: SEAL'S SOUL". Auspop.blogspot.com. Retrieved 15 January 2016. ^ "Seal coacht DSDS-Kandidaten". RP Online (in German). 2 February 2009. Retrieved 29 January 2016. ^ a b "Showbiz – News – Heidi Klum: 'I'm lucky to have Seal'". Digital Spy. 29 September 2010. Retrieved 26 April 2011. ^ "ME1 TV Talks To... Trevor Horn". YouTube. Retrieved 15 January 2016. ^ Henry Potts. "Where are they now? - Former Yes members". Bondegezou.co.uk. Retrieved 15 January 2016. ^ "Instagram". Instagram. Retrieved 15 January 2016. ^ "The Imagine Project". All About Jazz. 21 June 2010. Retrieved 29 November 2010. ^ "Judges announced for Aussie Voice". RTE.ie. 23 November 2011. Archived from the original on 25 November 2011. Retrieved 23 November 2011. ^ "Home | The Voice | 9Jumpin". The Voice. 1 January 1970. Retrieved 15 January 2016. ^ "Band Aid 30: One Direction among celebrity line-up". Telegraph. 10 November 2014. ^ "Seal Cast as Pontius Pilate for Fox's 'The Passion'". The Wrap. Retrieved 12 February 2016. ^ "Seal takes heat for serenading Chechen strongman". billboard.com. ^ "Widespread Torture in the Chechen Republic". Human Rights Watch. Retrieved 14 August 2012. ^ a b "Hilary Swank apologizes - Pleads ignorance; but will she keep the Chechen warlord's money?". Human Rights Foundation. Archived from the original on 17 October 2011. ^ Masters, Kim (12 October 2011). "Seal's Chechen Leader Birthday Bash Performance Questioned By Human Rights Group". hollywoodreporter.com. ^ Larkin, Mike (14 October 2011). "'I deeply regret attending': Hilary Swank goes into damage control after turning up at birthday party for Chechen president". London: dailymail.co.uk. ^ Elder, Miriam (13 October 2011). "Hilary Swank 'regrets' partying with Chechen leader Ramzan Kadyrov". London: guardian.co.uk. ^ "Hilary Swank cancels Toronto speech amid controversy over Ramzan Kadyrov birthday appearance | News | National Post". News.nationalpost.com. Retrieved 31 October 2011. ^ O'Reilly, Finbarr (19 November 1998). "Seal's new album is soul pop without the soul". NewsBank. Chicago, Illinois, USA. p. 43. Archived from the original on 16 July 2012. Retrieved 12 March 2011. ^ Celebrities Who Have Overcome Obstacles, Jet,. 10 June 1996. Retrieved 26 April 2011. ^ Hussey-Whyte, Donna (12 November 2007). "Beyond beauty". The Jamaica Observer. Kingston, Jamaica. Retrieved 12 March 2011. ^ "Jay-Z and Seal's Brother Score 'The Great Gatsby'". SPIN. Retrieved 15 January 2016. ^ "Heidi Klum: Seal and I Have Not Married". People. 25 March 2005. ^ "Five Minutes With: Seal". BBC News. 16 October 2010. ^ Stephen M. Silverman; KC Baker (4 January 2005). "Heidi Klum and Seal Engaged to Wed". Archived from the original on 26 January 2012. ^ "Heidi Klum and Seal Marry in Mexico - Marriage, Heidi Klum, Seal". People.com. Retrieved 15 January 2016. ^ Wihlborg, Ulrica (8 May 2010). "Heidi Klum and Seal Renew Their Wedding Vows". People. Retrieved 26 April 2011. ^ "Heidi Klum Officially Takes Seal's Last Name". People magazine. 20 November 2009. Retrieved 22 November 2009. A rep for Klum did not comment when asked if [she] intends to be known professionally as Heidi Samuel from now on. ^ "Seal on his comeback". news.com.au. 11 June 2009. Archived from the original on 16 June 2009. ^ KC Baker & Stephen M. Silverman (5 May 2004). "Klum, Dixie Chick Welcome 3 Baby Girls". People. Retrieved 26 April 2011. ^ DPA (14 September 2005). "Heidi Klum gives birth". Sydney Morning Herald. ^ "Seal on being a father and Heidi not being pregnant, for once!". Celebrity Baby Blog. 4 November 2007. ^ "Seal Opens Up About Decision to Adopt Leni". People. Archived from the original on 8 March 2010. Retrieved 26 April 2011. ^ "Klum Names Son After Her Dad and Seal". 14 September 2005. ^ Stephen M. Silverman (23 November 2006). "Heidi Klum and Seal Have a Boy". People magazine. Archived from the original on 29 August 2007. Retrieved 25 August 2007. ^ "Heidi Klum and Seal Welcome Daughter Lou Sulola". celebrity-babies.com. Archived from the original on 15 October 2009. Retrieved 12 October 2009. ^ Bartolomeo, Joel (22 January 2012). "Seal and Heidi Klum Confirm Separation". People. Retrieved 23 January 2012. ^ "Supermodel Heidi Klum, pop star Seal separate". CNN. 23 January 2012. Retrieved 23 January 2012. ^ Pritchard, Julia, "On Ex-cellent terms! Heidi Klum and former husband Seal share a friendly kiss after taking their four children for dinner in LA", Daily Mail, 5 May 2017. ^ "Heidi Klum, Seal's Divorce Is Finalized Two Years After Split - Us Weekly". Us Weekly. Retrieved 11 January 2018. ^ a b "Queen "The Freddie Mercury Tribute Concert" video and song lyrics". Ultimatequeen.co.uk. Retrieved 15 January 2016. ^ To Make It Right, Night. "Night To Make It Right After Party". Retrieved 7 April 2012. ^ "Heidi Klum and Seal to show Love's Divine with New Reality Series". TVGuide.com. ^ "Past Judges". Independent Music Awards. Archived from the original on 13 July 2011. Retrieved 26 April 2011. ^ "Seal". 28 November 2017. ^ "Seal | Awards", IMDb. Entertainment Weekly, 3 June 1994. The Independent, 12 May 1994. Metro Times (Detroit), 22 June 1994. Rolling Stone, 28 November 1991; 25 August 1994. Wikimedia Commons has media related to Seal (musician). Reynolds, Simon (14 August 1994). "A Conjurer of New Age Vagaries and Lush Grooves". The New York Times. p. 26.